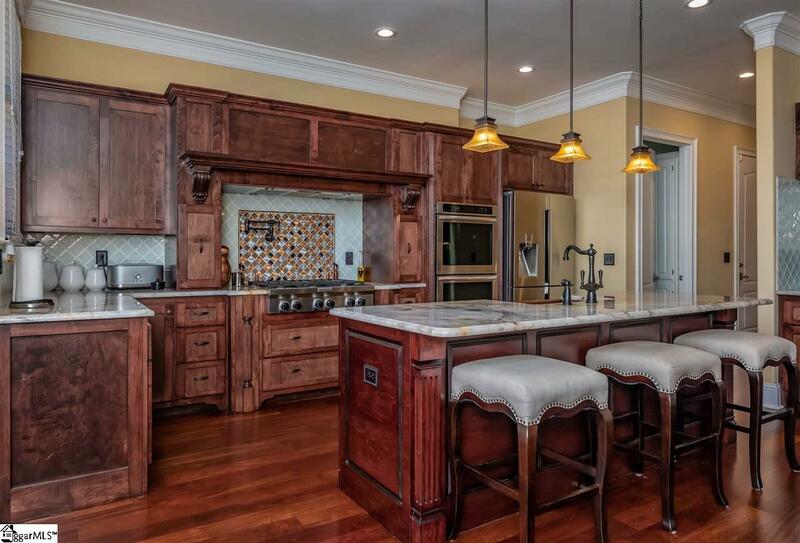 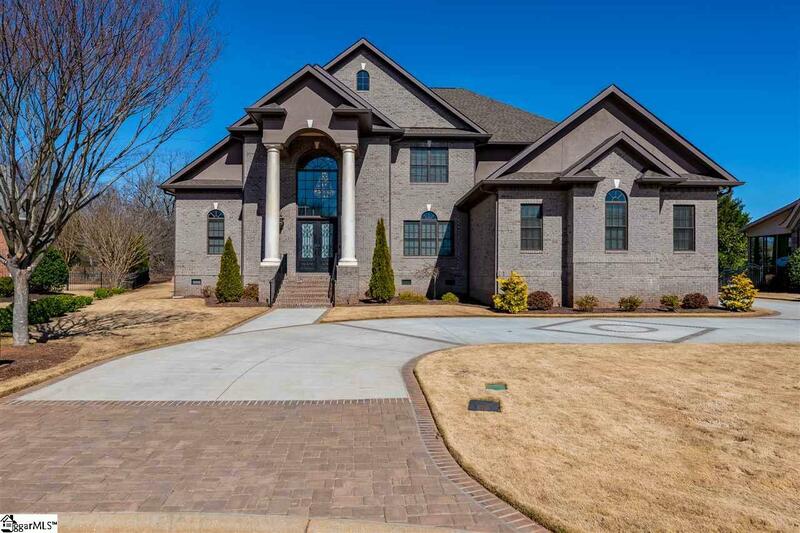 Magnificent is an understatement when describing this one of a kind custom craftsmanship and design of this home built in 2016. 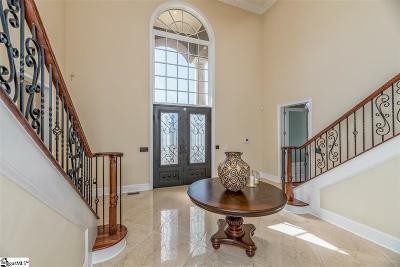 When you step into the front door, it will take your breathe away. 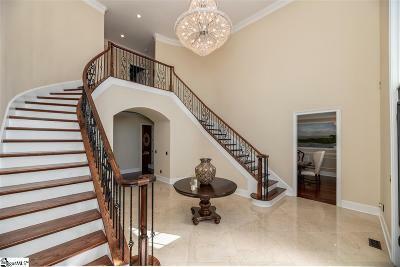 The EXTRAVAGANT foyer creates a first impression infused with an atmosphere of sophistication and refinement. 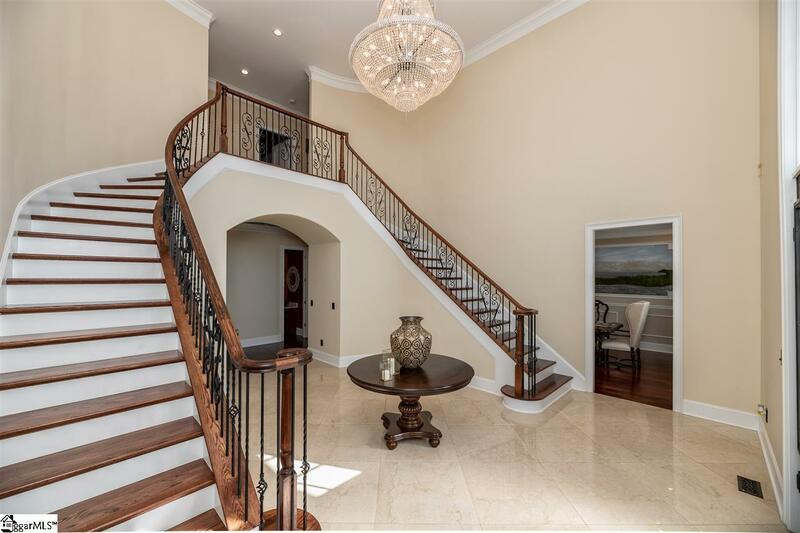 Italian marble floors with STUNNING dual staircase and SPECTACULAR Swarovski crystal chandelier (with motorized lift system) compliments the elegance. 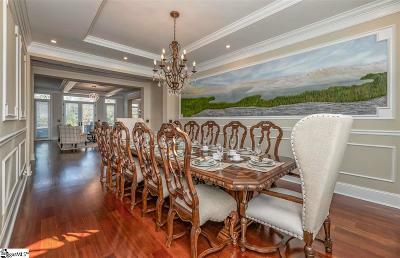 The FORMAL Dining Room is to the right with tray ceiling, a wall of wainscoting on one side and custom mural on the other and seats twelve. 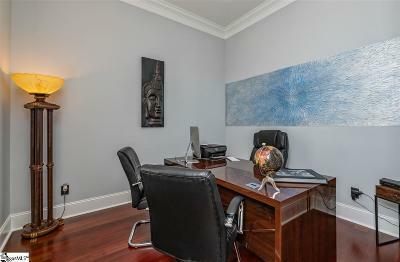 Private office is located on the left side of the foyer with arched window and decorative textured wall panel. 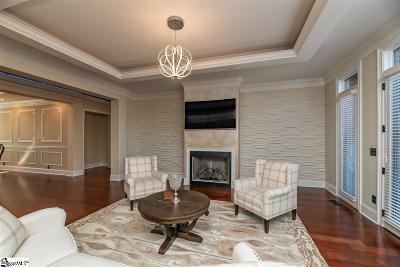 Tray ceiling with ribbon LED chandelier decorate the Great Room with Faux Glaze Fireplace and CUSTOM TEXTURED 3D WALL PANEL. The gourmet kitchen features exotic granite that illuminates and custom hood design with high powered exhaust system. 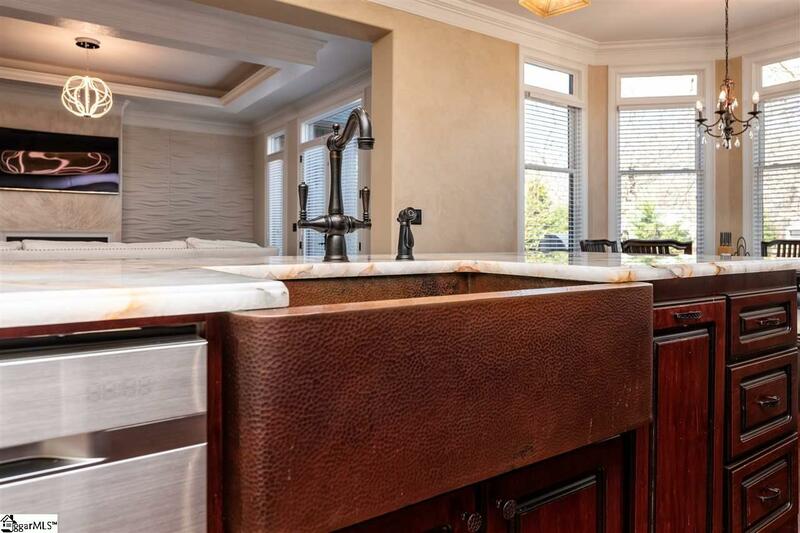 Other highlights include soft close drawers, hammered copper sink, POT FILER, custom spice racks, dual convection ovens, and 6-burner GAS cook top. 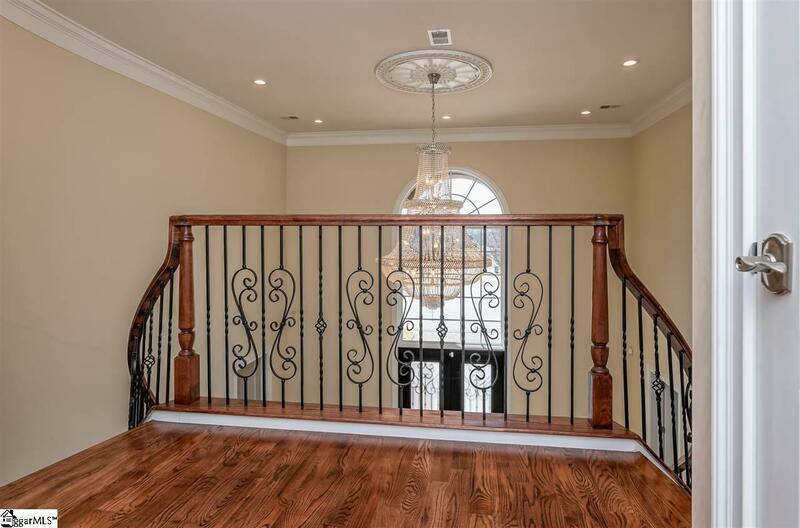 The hallway exhibits its own wow factor with MULTI COLOR ROPE LIGHTING that adds to the homes character and style. 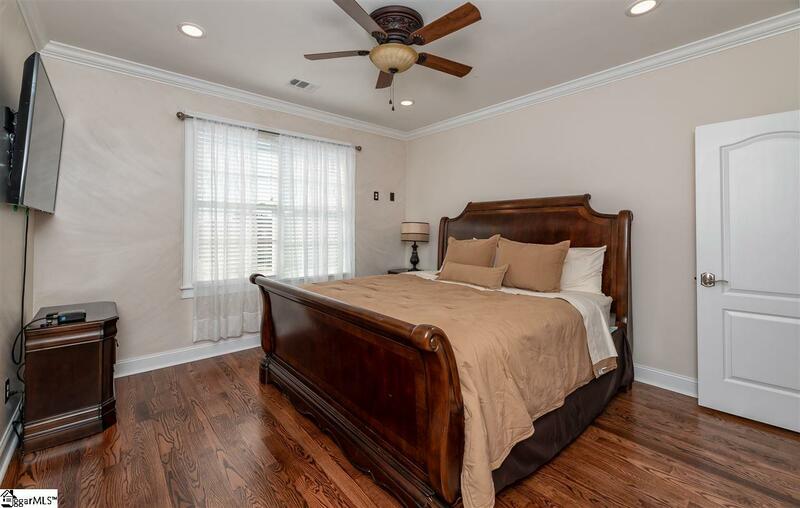 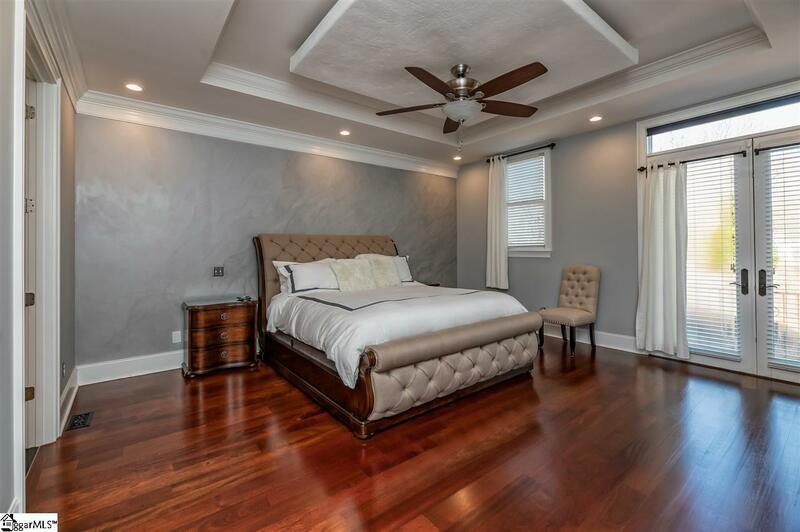 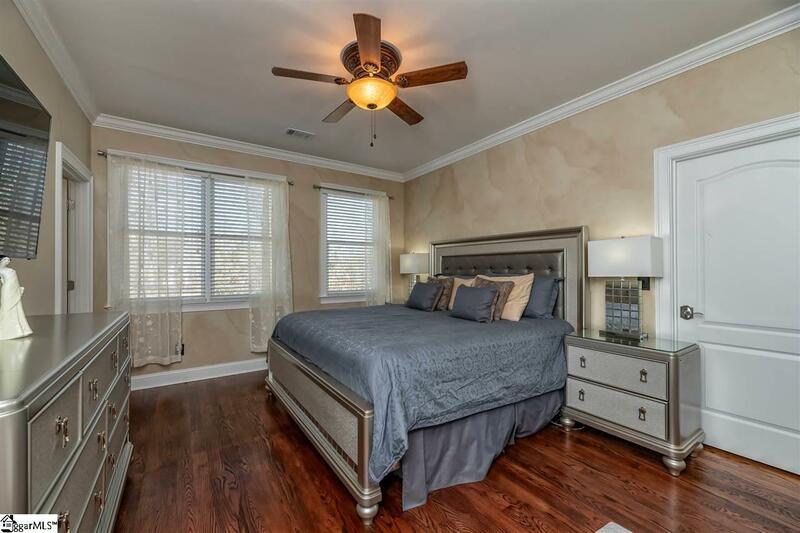 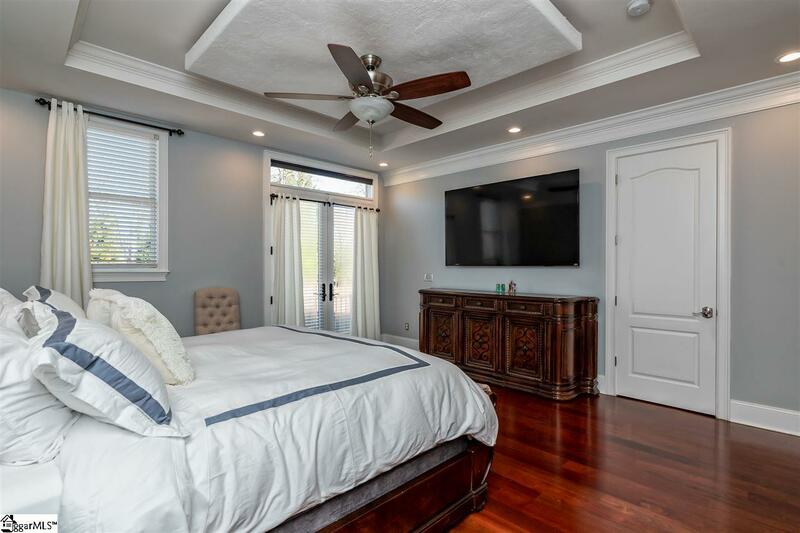 The Master Suite is on the main level with tray ceiling with remote control blinds on the transoms, and provides access to the patio. 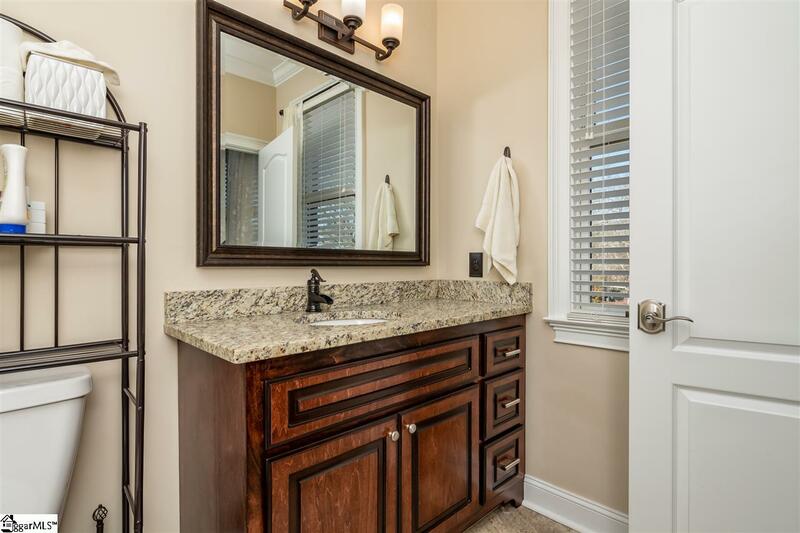 Luxurious Master Bathroom is memorable to say the least. 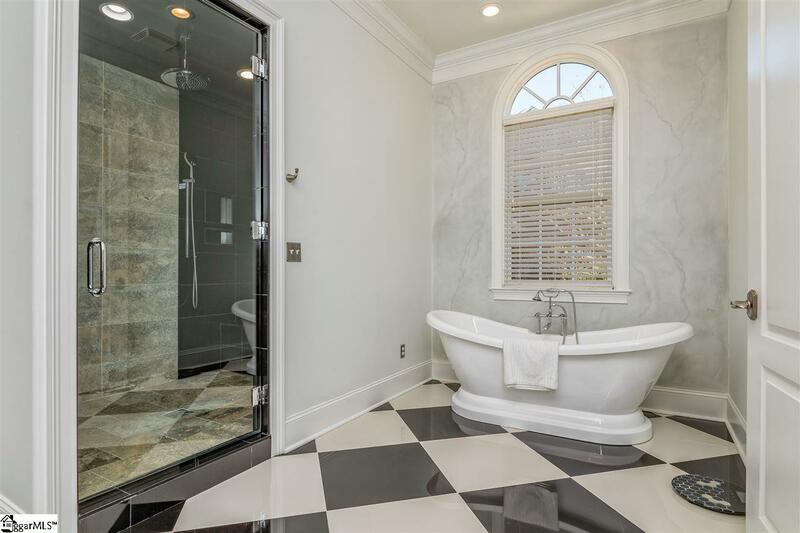 Relax and unwind in the freestanding contemporary design soaking bathtub. 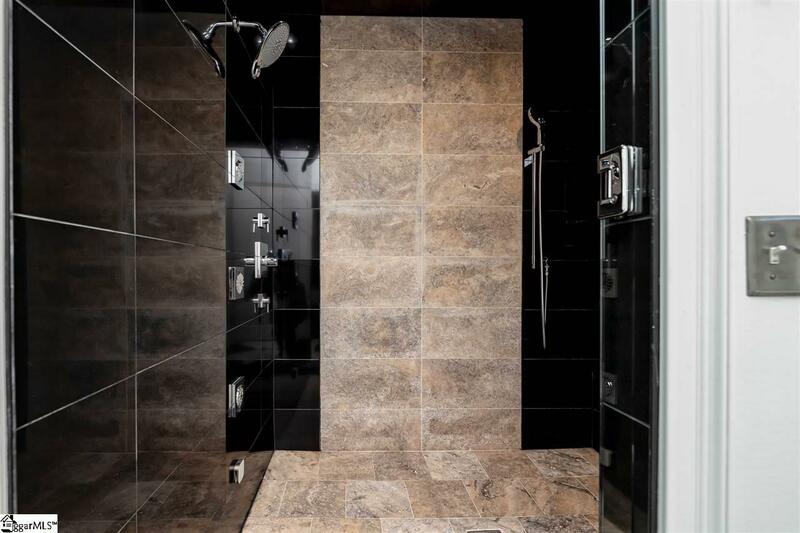 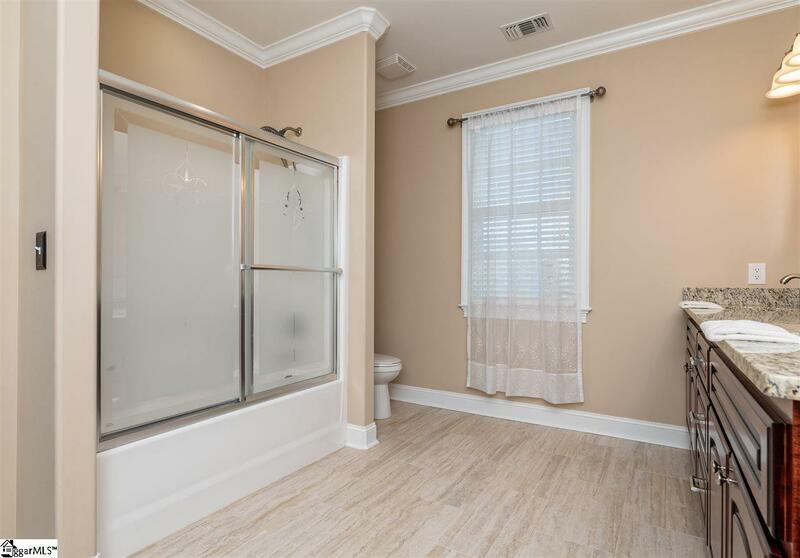 The CUSTOM shower is one of the many features that set this home apart from the rest and includes MULTI RAIN SHOWER HEADS and MULTIPLE BODY JETS and STEAM and is HUGE. 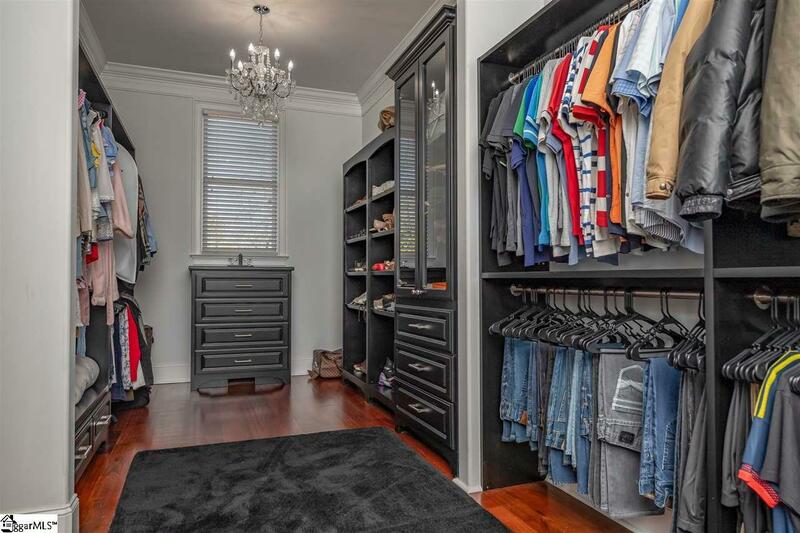 A dream walk-in closet that holds all seasons with another lovely chandelier. 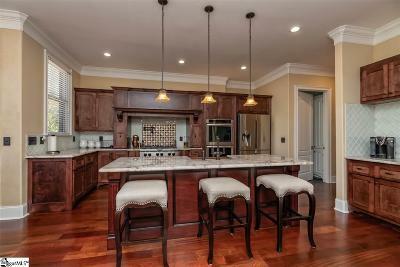 Central Vac is throughout the house with pan vac in the Master and Kitchen for easy cleaning. 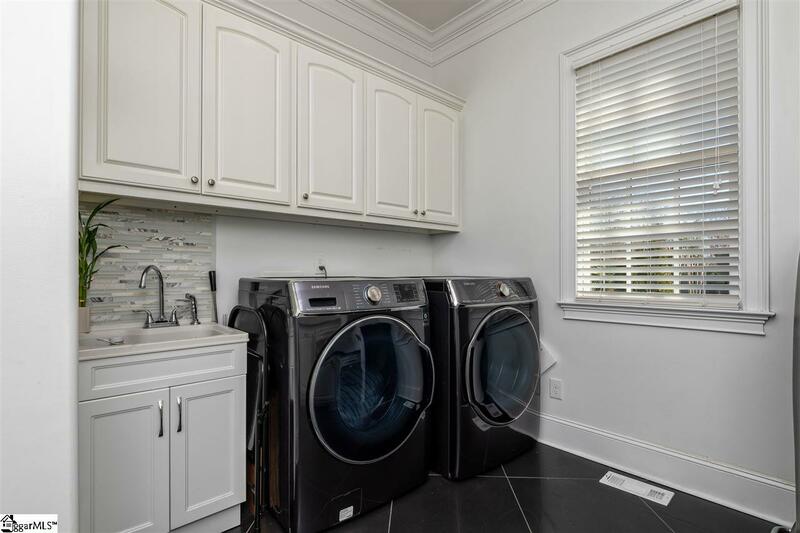 The laundry room is ideal and includes custom cabinets with granite counter tops and plenty of space for folding. 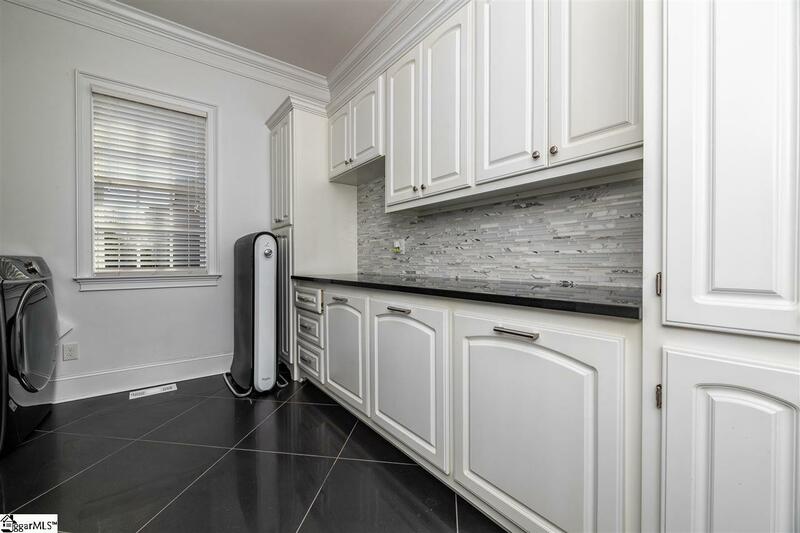 There are 3 oversized custom laundry cabinets for organizing and pull out iron station, and sink. 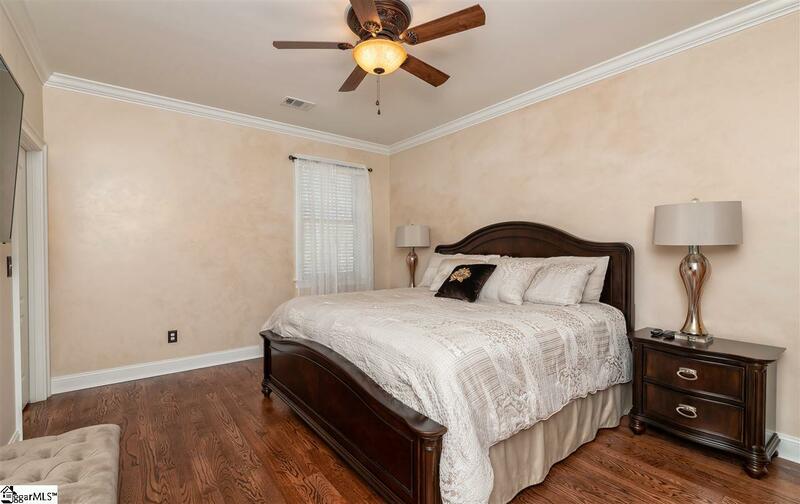 The second level boasts a spacious loft area with barn door and 3 or 4 additional bedrooms with walk in closets. 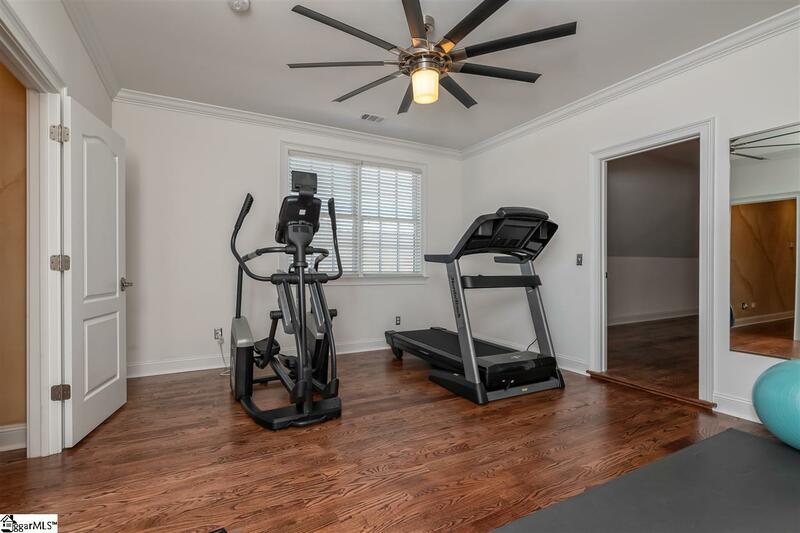 There are TWO recreational spaces, one space complete with its own closet if a 5th bedroom is needed. 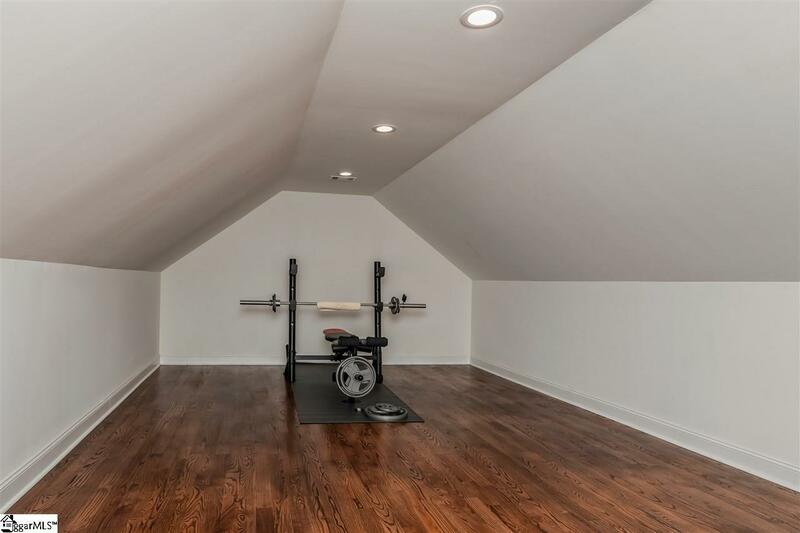 The other more of a exercise space/bonus. 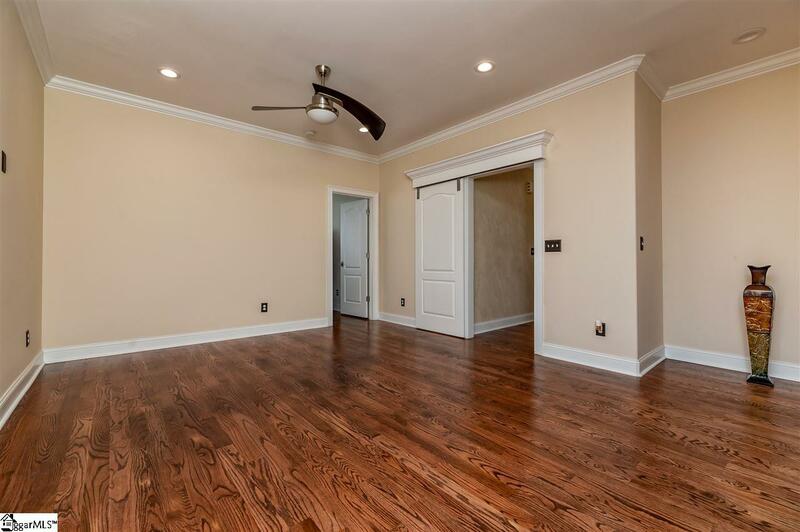 Other finishes include cherry hardwoods throughout the house and FAUX PAINTING on some walls and ceilings. 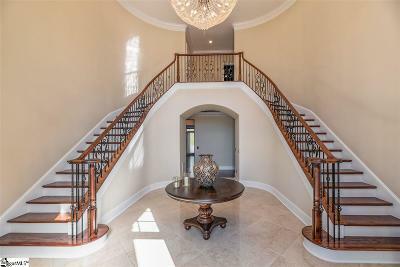 There is also a second staircase off the kitchen. 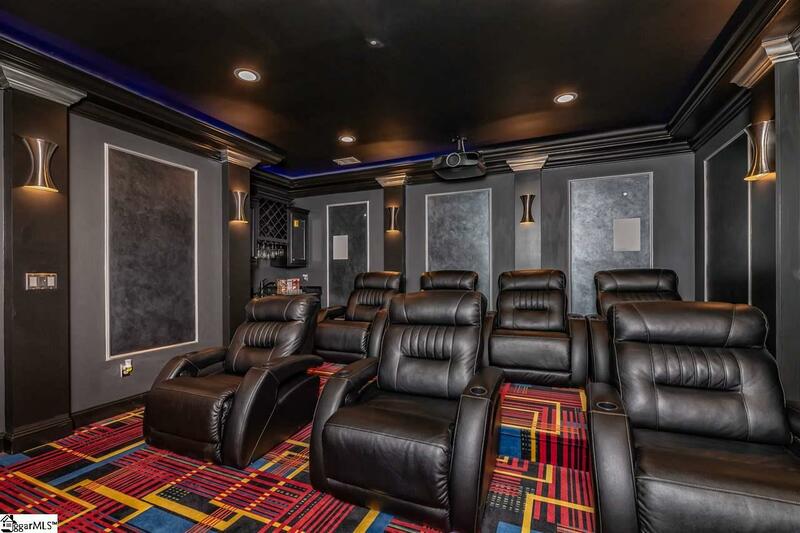 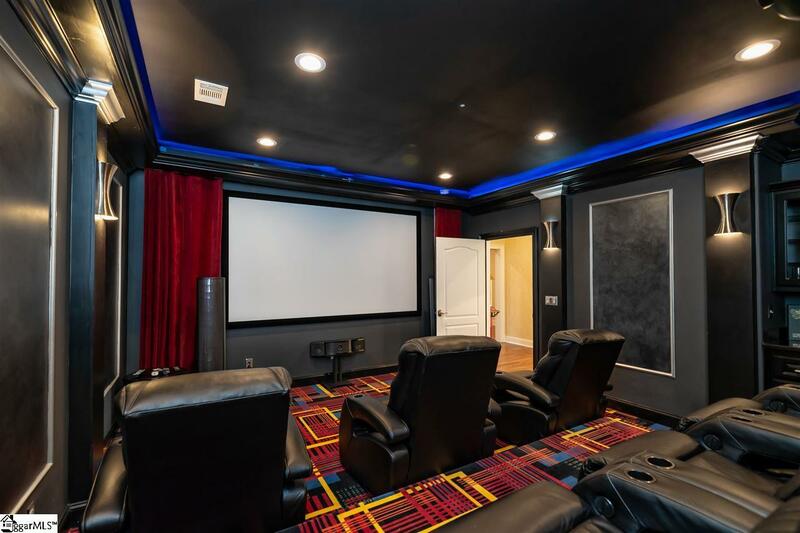 The HOME THEATER sets the stage with built in speakers for the total surround sound experience with multi color rope lighting and wet bar and accommodates seating for 7 or more. 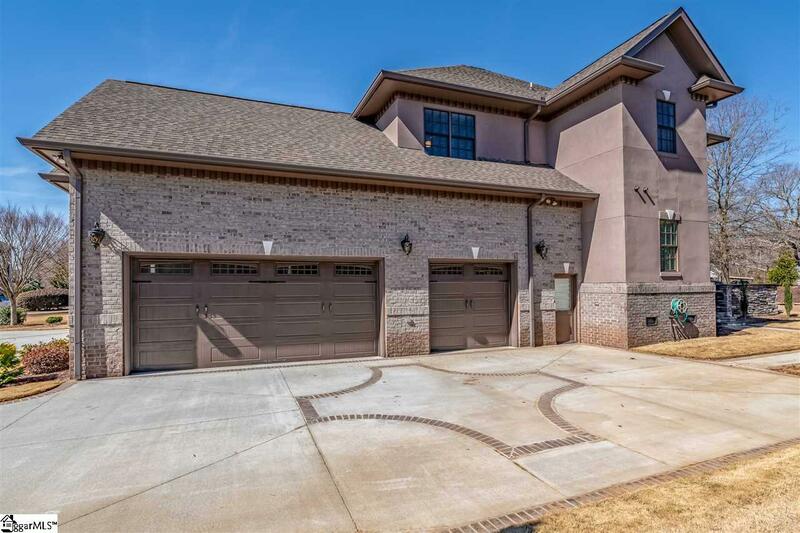 Storage abounds in this home with plenty of closet space and a third level that is unfinished provides even more potential. 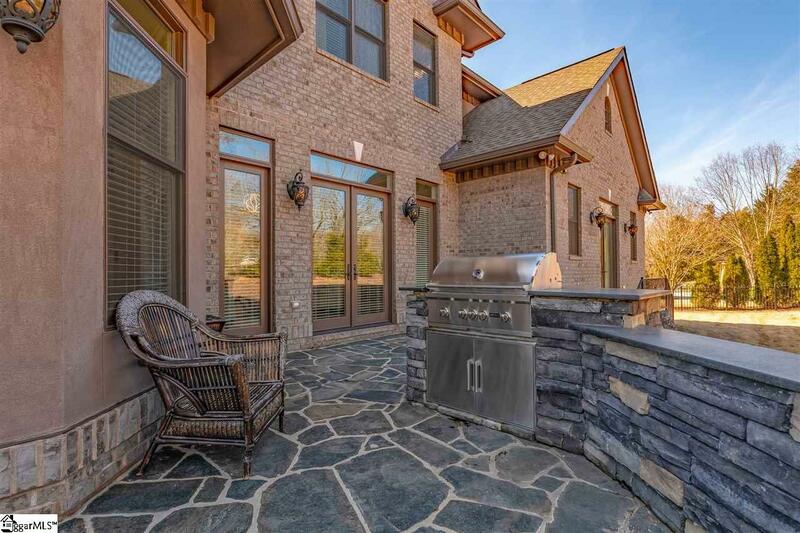 Patio includes flagstone floor with stacked stone wall and provides separate areas for entertaining. 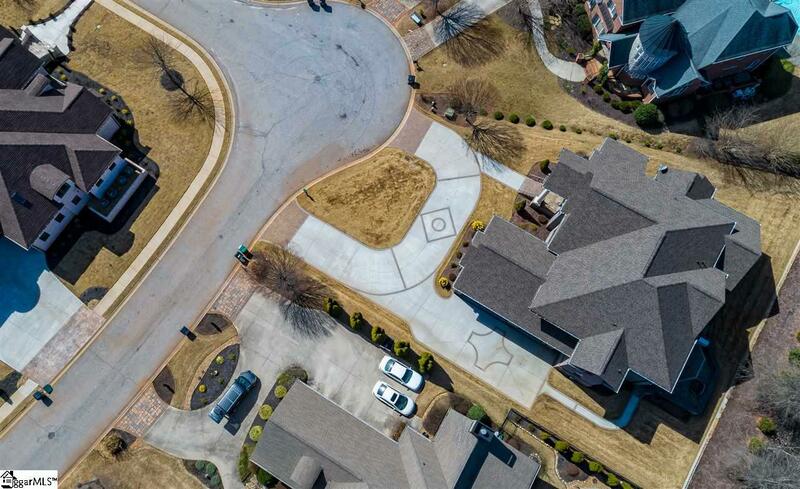 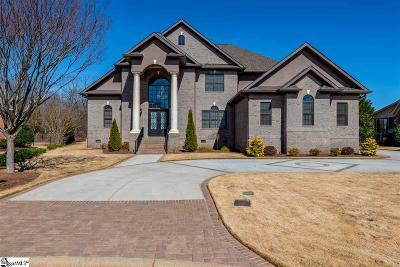 Exterior landscaping lights in the front with circular driveway with brick design makes an amazing first impression. 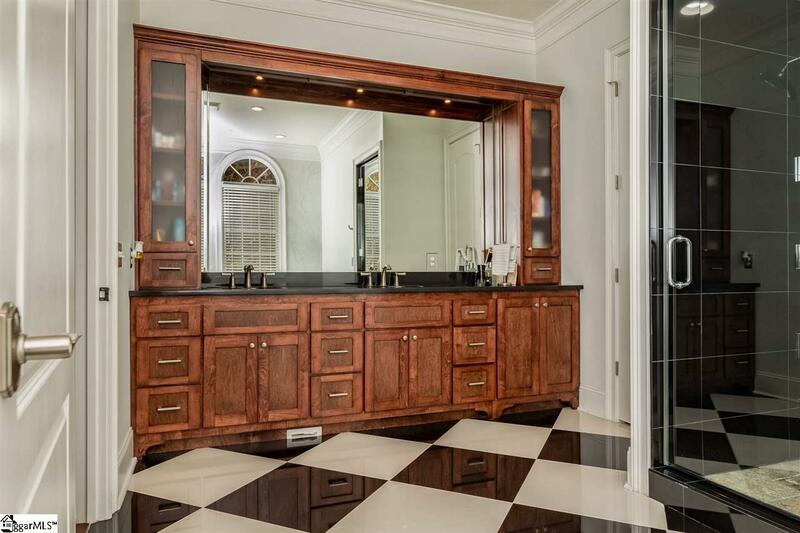 This owner has taken immense pride in this home and it shows. This house is a MUST SEE to appreciate. 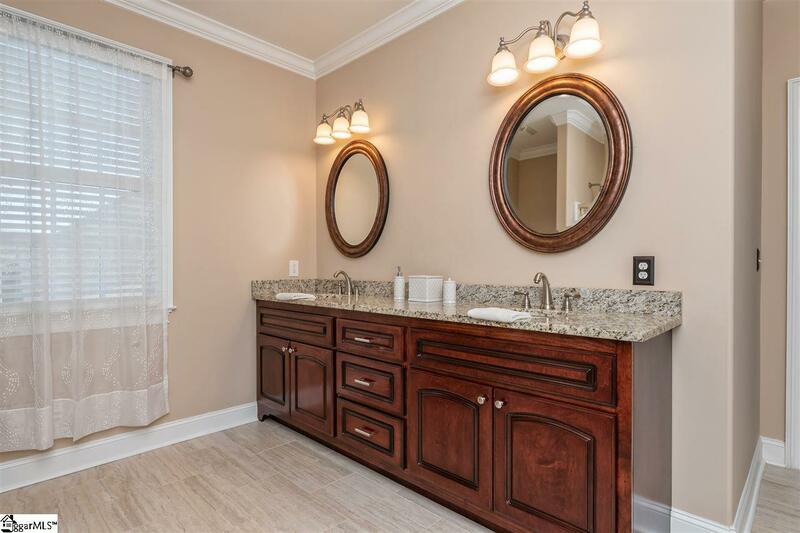 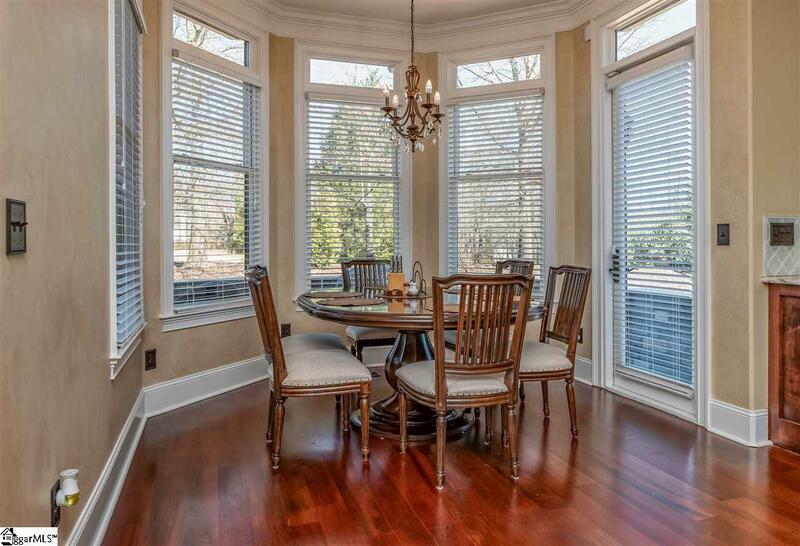 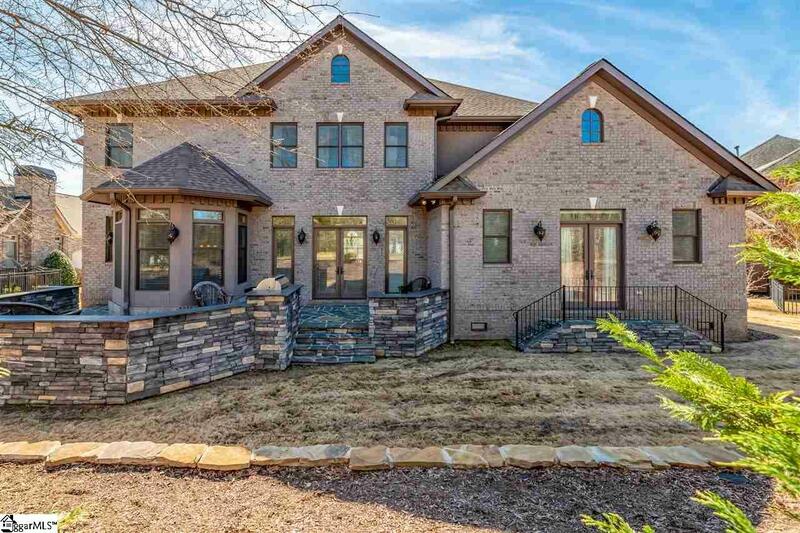 The Columns at Roper Mountain is a prestigious gated community with beautiful fountains and conveniently located near shops, restaurants, 385, etc. 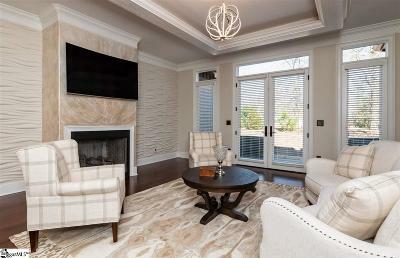 Award Winning Schools: Oakview, Beck, JL Mann.